Mo Sheng scrapes her knee while playing on the beach and Yi Chen overreacts by princess carrying her inside. He puts medicine on her and she worries that it will leave a scar. He says it’s okay because she is already married so it doesn’t matter anymore. 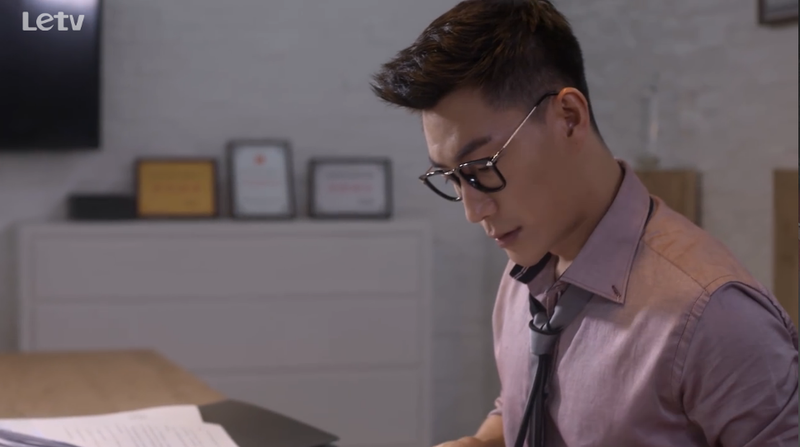 Back in Shanghai, Yuan Feng tries to convince himself that he needs to be a loving, caring and understanding boyfriend and not disturb Yi Mei since she is busy. 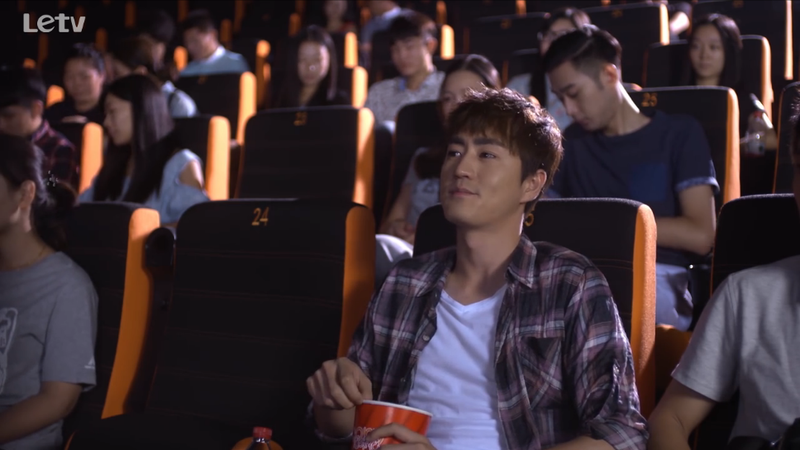 So he goes to watch Xiao Xiao’s cartoon movie so he can mock her about it later, but he ends up being totally affected, balling as he come out. He then quickly recollects himself and texts her to tell her that the movie was pretty good but that she was the only bad stroke. Aiyah dude! This is not how you win a girl over! Yi Mei calls Yi Chen to blab about Mo Sheng’s past marriage, but he reveals that he already knows. Yi Mei is crushed that he is willing to be with a divorcee but still not her. Lawyer Yuan then lets slip that Yi Chen is away on his honeymoon. Yi Mei is completely utterly heartbroken. 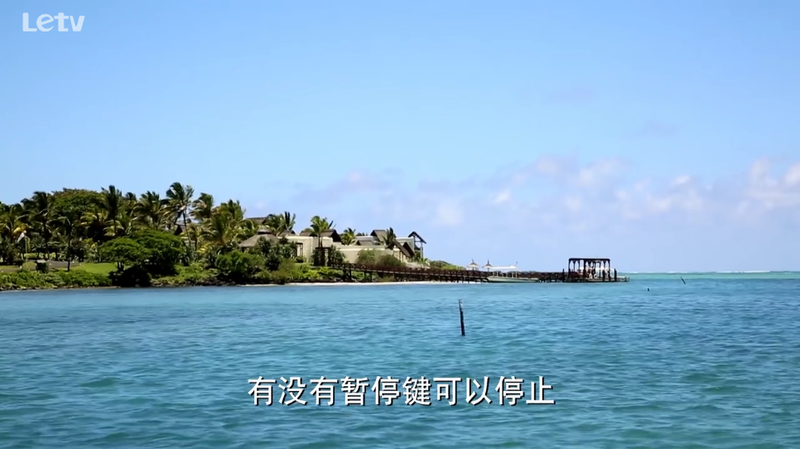 Elsewhere, Mo Sheng and Yi Chen are soaking in the sun and enjoying the beautiful scenery. 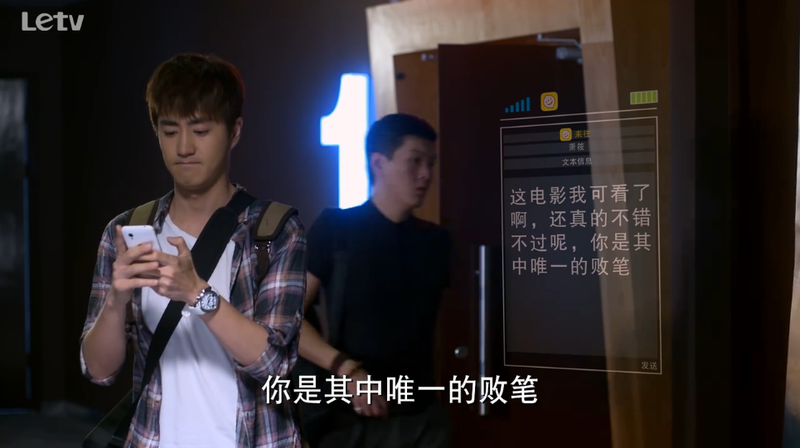 Yuan Feng finally gets in touch with Yi Mei. He suggests coming by to see her, but she tells him that they should break up. He wonders if he did something wrong, but she tells him that she just realized that when someone likes someone else, it doesn’t matter what you do. She is like so, he is like so too. She confesses that she never felt anything for him and she doesn’t want to waste his time anymore. 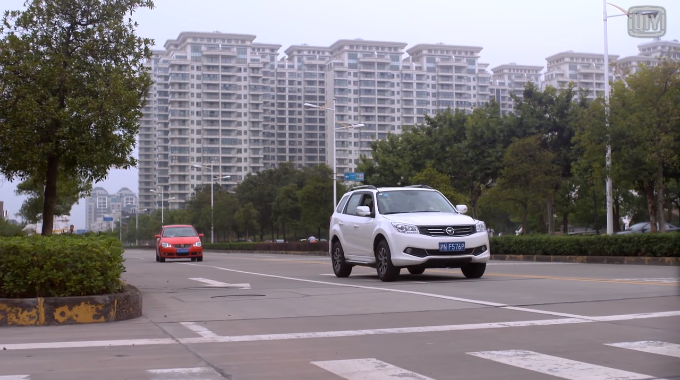 And then a depressed Yuan Feng stops his car in the middle of the road to lick his wounds. Okay man, at least pull over. Mo Sheng catches a cold and Yi Chen tells her she ruined his entire plan! She doesn’t get the hint and so he spells it out. She gets embarrassed and hides under her blanket. He tucks her in and tells her she will get better real soon after taking the meds. He thinks to himself that she is not even aware of the fact that she is legally married to two men right now. Back in China, Ying Hui is still playing games with his ex, Xin Ying (I wasn’t going to get her name, but it seems like she is a recurrent character now). She invites him to lunch, and he plays along. After her hangs up, Linda reminds him that he has a meeting tomorrow morning and he says he wasn’t planning on going to the lunch. Dang, you are so awful. Yuan Feng goes to Xiao Xiao to ask who is the person Yi Mei is in love with. Xiao Xiao dismisses her manager and assistant and the two of them head to the harbor to drink… Red Bull??? What the heck. She mocks him about his short lived relationship and Yuan Feng wonders what that guy has that he doesn’t. Xiao Xiao: Well, if you consider looks, he is ahead of you by hundreds of blocks. If you consider temperament, do you even have a temperament? If you consider success or finance, he is a male god from head to toe. Xiao Xiao starts to tell Yuan Feng to stop moping and get over it. He questions whether she even knows what it’s like to get dumped? She says of course she does. Before she became a model she got dumped and so she hid away for two days. However, in those two days her grandmother past away and because nobody could find her she couldn’t even say her last goodbye. So she feels really upset and angry every time she thinks of that past. Then she gets up and drags Yuan Feng to go drinking. He’s all like, who is the one that just got dumped, you or me? Xiao Xiao takes a drunk Yuan Feng to his home, but he insists on drinking some more. So the two of them down more Rio and both get super smashed. The next morning Yuan Feng wakes up to find himself in bed with Xiao Xiao!!! Dung dung dung. I didn’t know this would be how they get together. The next morning, Xiao Xiao wakes up and a shocked Yuan Feng grabs her dress to cover his lower half. She gets out of the bed and tells him that this is just something between adults and that she is not going to be responsible for him. He tells her that this is his first time as she waves goodbye. Just as she takes leave, she runs into Yuan Feng’s parents. She lies that she is from the housing association, but his parents recognize her as the model on the magazine cover. Yuan Feng’s mom comes into his bedroom and points that he is fake sleeping. He tells his mom that Xiao Xiao got dumped and drank too much so he let her sleep in the guest room. His mom is like I’m not stupid, are you dating her? Did you take physical next steps? He fakes sleepy and ignores her. Well, let’s go back to the couple who should actually take physical next steps. Mo Sheng is trying to convince Yi Chen to let her go play because she has been locked up everyday since she got sick. Yi Chen doesn’t buy it and gets his bros to send over some work while he watches over Mo Sheng. Mo Sheng begs Yi Chen to let her go outside and after a lot of begging he finally relents and agrees to one hour outside. While on the beach, Yi Chen pulls out the jewelry box… but it’s not the ring! Why! Why! Why! It is a necklace that says sunshine. Xiang Heng and Lawyer Yuan are swamped with extra work because Yi Chen is out on vacation. I know there like my favorites couple, I mike that Gu Man got them together here. This is a change that I like.